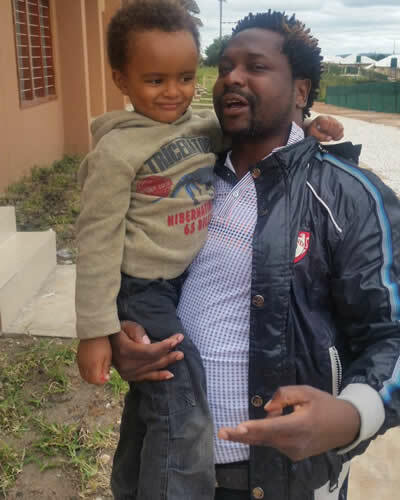 Remember Big Brother Africa 8 'The Chase's funny man Sulupinsio fondly called Sulu? 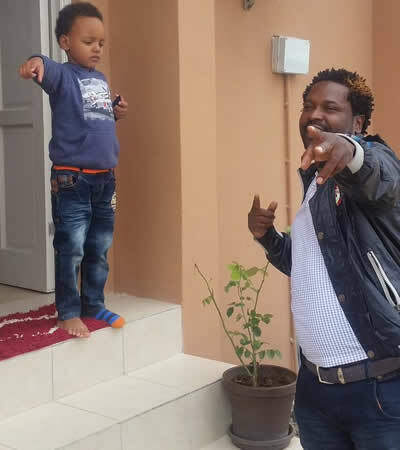 The Zambian artiste is not short of pulling off funny scenes at any opportune time availed to him. He was spotted getting touchy feely with some lady friend and he was visibly enjoying her fundamentals with a huge smile on his face. It seems it's been long since Sulu last had some 'great time' if his caption on one of shots is anything to go by. Meanwhile, it's been a while since Africa last heard something from Sulu who shot to fame after he took part in the continental reality TV show. He's also remembered for his showmance with now married Ghanaian actress and telly personality Selorm 'Selly' Galley.